Microsoft has announced six new titles coming to Xbox Game Pass in April, including Monster Hunter: World. Users who subscribe to Xbox Game Pass gain instant access to over 100 Xbox One titles, all listed here, for $9.99 a month. 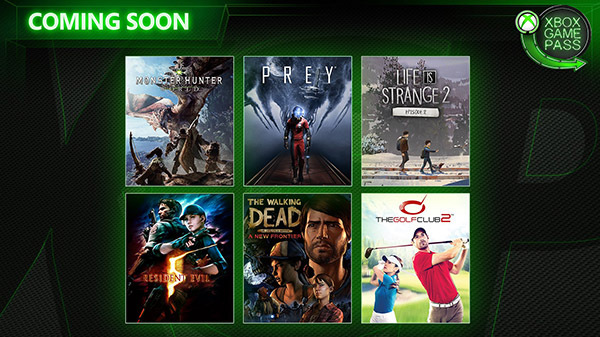 The first month of Xbox Game Pass is available for $1.